National Bike to Work Day for 2017 is May 19th! 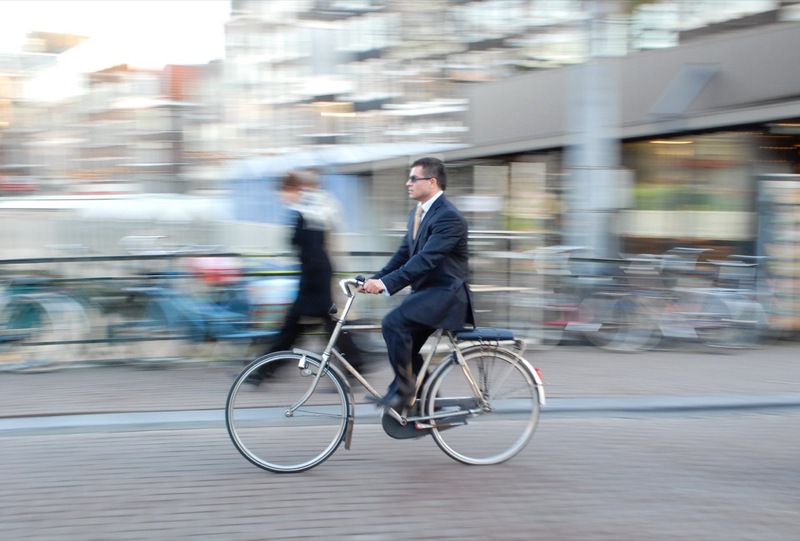 You CAN actually choose to ride your bike to work if it makes sense to do so. Do you only live a handful of miles away from work? Have you been meaning to get on that New Year’s resolution about getting fit? Do you see a reasonable route you can take to work by bicycle that isn’t going to be too harrowing? Sick of shoveling out huge piles of dough to Big Oil? Remember, you’re not stuck in traffic. You ARE traffic. So get yourself unstuck and RIDE BIKES… to work. PLEASE NOTE: The advice in this article is NOT actually endorsed by me, or anyone from the Jacksonville Bicycle Coalition. I felt the need to list out a few tips and tricks to help make novices feel more comfortable on what I call “serious bike rides”, but I must stress that only YOU can fully educate yourself, and you must accept the fact that YOU ride at YOUR OWN risk. Firstly, You may not want to make your bike route the very same route as what you take with your car. Get to know the general area between your home and to where you wish to ride. For safer routes to where I need to go, I check out Google Maps on occasion to see if I can find low-traffic roads to ride on. I’ll use my commute to work as an example: After Google Mapping the best possible route to take by bike, I then drove on those roads to and from work, finally deciding which ones I could get away with on my bike. I went back on Google Maps a few times and drew out my own personal bike route. The route consists of both high traffic roads and low traffic neighborhood roads, bike lanes, big shoulders, and a short area where there is neither a shoulder nor bike lane with relatively heavy traffic (the only part of my bike route that stinks big time). Secondly, ride your bike regularly to and from the corner store, a friend’s house, the park, etc. Take long joy rides in neighborhoods but also make sure you’re getting a feel for what it’s like to ride on roads with real traffic. If the traffic is too heavy, too fast, or too scary, you don’t have to force yourself to ride it. Start out by riding on roads that make you comfortable, slowly building up to the more challenging roads. That way, when you’re ready to take a serious ride, such as commuting to and from work or biking to Art Walk downtown, you’ll not feel so intimidated. When a bike rider feels intimidated, they may not be in the right mindset to handle situations gracefully enough. And remember, don’t ride your bike on roads with fast, heavy traffic if there’s no large shoulder or no bike lane. Third, after you’ve ridden your bike quite a bit in and out of traffic on joy rides, and after you’ve driven on that route with your car a few times, making sure you’re driving that route during the times you’ll be riding your bike, you’ll then be ready to ride that route with your bike, but only during non-peak days and hours. Meaning, take that route with your bike on a lazy Sunday to get a feel for it. See how long it will take you to ride it so that you’ll make it to your destination on time. Make sure to give yourself plenty of time in the event you’re somehow stuck in heavy traffic during rush hour. Also, give yourself extra time so that when you arrive to your destination, you can freshen up and change clothes. Finally, after getting a good feel for bike riding on the street in general, and getting a good feel for the best route on a bike, you’ll ideally be more confident a rider to be able to handle a serious ride. Now, the bike helmet option is actually a topic of great disagreement between different types of cyclists. Honestly, sometimes I wear a helmet and admittedly sometimes I don’t. It really depends on my gut feelings about the time of day or how serious my ride is. When commuting to work, I wear a helmet. It makes me feel safer and it is safer. I’ll say this, bike riding is about as dangerous as any other form of street transportation, but that’s my opinion. This is not the opinion of the JBC in general. We are all made up of different cycling types and have various degrees of advice. Some folks may feel turned off to bike riding when they see people wearing helmets. Don’t allow yourself to buy into that school of thought. There’s nothing wrong with wearing a helmet. I would personally recommend you wear a helmet. Just be on the safe side and do it. Don’t listen to music while riding. Always keep a sharp eye out for cars. Don’t make impulsive decisions unless you’re trying to get out of a sticky situation. Acting in a predictable fashion will help other cyclists and motorists know how to act when they’re on the roads with you. Don’t do something you’re not comfortable with. You’ll experience a bit of discomfort and that’s normal. But if your gut is screaming at you not to do something, your discomfort level is too high in which case you should back off from the situation. Get familiar with fixing a flat, even if you haven’t had one yet. Most bike shops offer a free or very inexpensive bike maintenance basics class every once in awhile. Always be prepared with a Plan B. Be familiar with bus routes, have a couple of backup phone numbers, and have the phone number for North Florida’s Emergency Ride Home service (http://www.northfloridatpo.com/cool_to_pool/) just in case something prevents you from riding. Ultimately, what’s important is that you’re interested in riding bikes more often. If you do it each day, you’re going to save loads of money on gas and you’re going to be more physically fit. Just make sure you feel confident enough to take on your serious rides by first practicing with joy rides. You’ll find the practicing will not be a laborious, boring chore, but actually quite delightful. You’ll discover other things that you can do, other places you can go, on your bike while you’re practicing for the serious rides. You’ll get sun on your skin, fresh air in your lungs, you’ll be getting exercise that’s fun and relatively easy on the body – not cooped up in a boring gym or taking a toll on your joints with jogging. Just take it slow at first and with time, you’ll discover on your own what works best for you. Great to see some activity here! You can bet I’ll be biking to work that day.